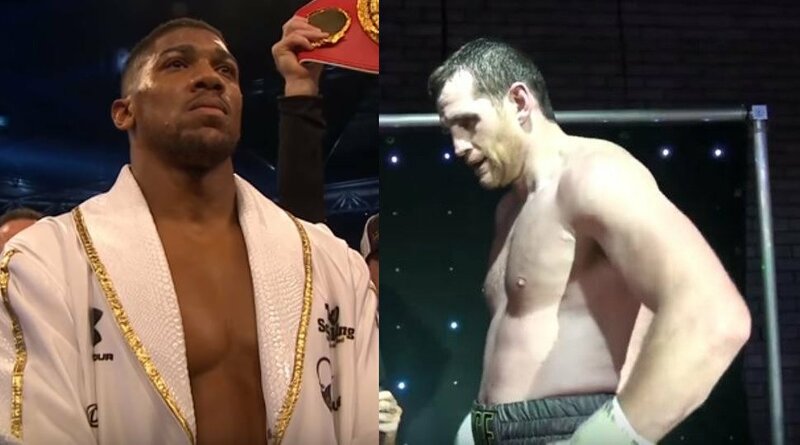 Anthony Joshua and David Price shared a sparring session a while back but now Joshua has conceded in public what and why it happened at the time. Anthony Joshua spoke some brutally honest home truths recently and more and more over the last year in particular, really seems to be starting to be himself and speak candidly. In the run up to his next fight with Joseph Parker on March 31st Parker’s promoter David Higgins has focused heavily on what he perceives as a potentially weak chin of Anthony Joshua. One sparring story years ago before Joshua was even a pro surrounded how Liverpool’s David Price apparently knocked him down heavily. Ironically Price will be on the same bill as Joshua and Parker where the Liverpool native will take on Russia’s Alexander Povetkin. Should Price win no doubt that Joshua will be looking at him as a potential opponent down the line – and put that sparring story to bed once and for all.